What is the media you HAVE to have before you switch over to Airplane Mode? 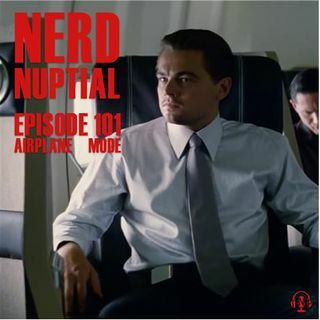 After taking two weeks off, Nerd Nuptial is back on the airwaves. Tristan was traveling and that screwed up the schedule. However, that did get both of them thinking about what you keep in your nerd wallet on an airplane. As we all know, you have to have your devices in Airplane Mode while in the air. So that means you have to download your books, movies, comics, music, and TV BEFORE that happens. Tristan and The ... See More Girl discuss what are the musts before a flight. What do you always have on you when you fly?